You know you need to start writing content for that new marketing site or blog, as well as your social media accounts. But that’s not something you’ve done in a while, especially creative, interesting articles that would interest your clients or community. How should you get started? You could read some of the relevant articles in your niche or industry and follow some of the pundits on twitter. Maybe subscribe to a few blogs and industry news sites on your Flipboard reader. After a while, you start noticing how some articles are better than others and what makes a good blog post or story. You also get a sense of where to find articles in your niche, which search terms work, what news sites and blogs are consistently the best. At the same time you are starting to email some of the best articles to your colleagues. Maybe you tweet some of them out with a link or post a few on your company Facebook page. You even start to write, yes write, some comments on the article as you post a link to it on your blog. Maybe place it in context for your industry or you analyze how a couple of articles together explore the two sides of a problem in your community. 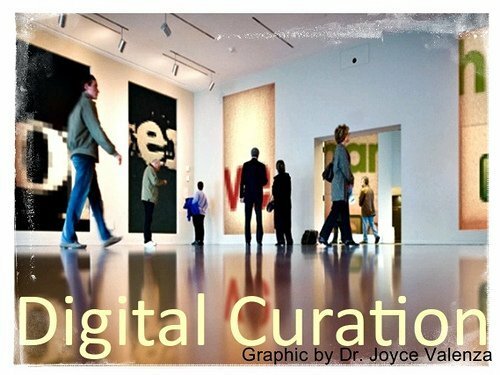 Guess what – you are curating! It’s a natural progression of keeping up with your industry or marketing niche. It is also a great way to get back into writing. Those little comments have been growing into paragraphs at times. A two sentence analysis of an article has become several paragraphs on an industry trend. With that practice comes confidence, and the ability to start creating your own posts and articles. It becomes much more natural to sit down and write out your thoughts and ideas. You can now start creating your own content. To help make this more efficient, or speed it up, it helps to have some curation tools such as the MyCurator content curation plugin for WordPress blogs. By helping to automate some of the content discovery process, MyCurator can save you time searching and finding articles. By making it easy to add your comments and ideas to curated articles, MyCurator makes it easy to expand your writing. If you make content curation a process, a practice, it can lead to you becoming a writer, or a better writer. That in turn is going to help you vault over the next hurdle of creating your own articles and posts from scratch. Now you can fulfill the promise of your blog or marketing site and see your business increase as a result. Are You A Fire Hose or A Focusing Lens?